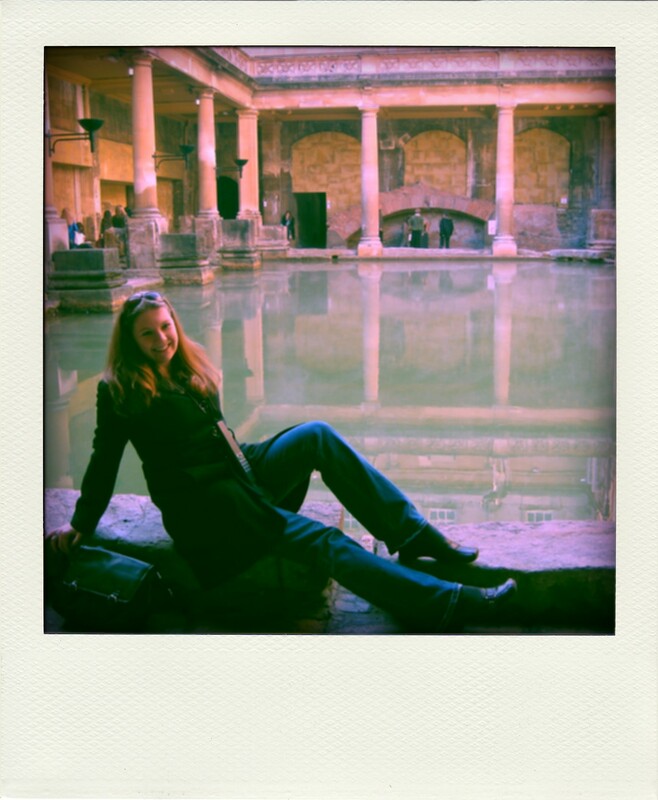 One of my favorite museum experiences took place in Bath, England in 2006. What a lovely town, steeped in beauty, culture and history! But for this museum minute, I will focus on our trip to the Roman Baths. Second, this was my first experience visiting a Roman archaeological/historic site in Europe, and I was blown away by the Roman’s architecture and culture. Well over 1,500 years later, the baths are still fully-functional–quite an engineering feat. Here are a couple photos of the now-outdoor bath, the Great Bath. Apparently, if the bath still had a roof over it to block out the sunlight, the water would still be crystal-clear and safe for bathing. The sun has caused algae and other bacteria to grow. Amazing. Boy, my hair was long! As a preservationist, I am trained (and train others) to closely monitor the environmental conditions of their artifacts and historic spaces closely. But here are the Roman Baths, in notoriously damp Great Britain, still surviving centuries after their last use. The statues and other architectural details certainly show their wear, but there they remain, in their original spot. What does this say about preservation vs. interpretation vs. retaining the integrity of a space? If you had all of the resources you could possible need, what would you do? I might build a giant dome to cover the whole building. I just might. 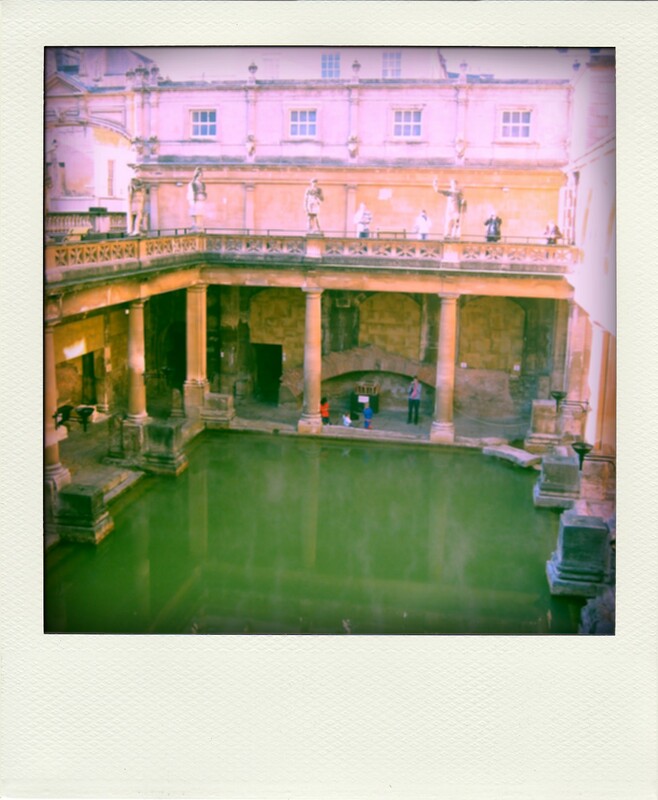 Tags: Bath, England, Historic Preservation, Historic Site, Preservation, Roman Art, Wayback. Bookmark the permalink. Previous post ← Look what I FIC!